The Fire & Fury ruleset makes out the principal set of rules in use by most ACW enthusiasts worldwide, so it was quickly adopted as the de-facto standard for the PWG club. Between the members of the club, there are probably enough 15mm figures to refight the biggest of the battles with most (if not all) regiments represented. 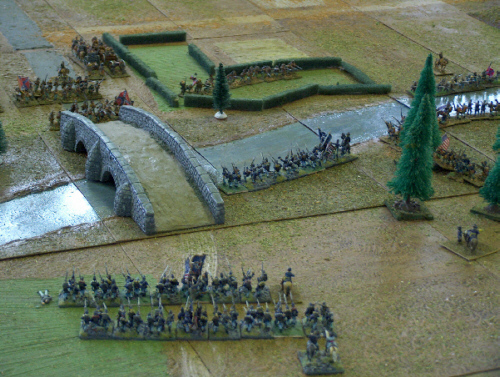 On occasion, a few of us get together and re-fight a major battle, such as the Storming of the Burnside Bridge during the battle of Antietam, and even the third day of Gettysburg!